Work-related stress is a very serious health condition in this day and age. Millions of individuals suffer from this situation on a daily basis and it can eventually lead to chronic health problems. Difficulty sleeping, weight gain, family problems, depression, anxiety, and even some physical ailments have all been proven as components. Unfortunately, countless Americans feel that there is no way to cope and short of winning the lottery, they believe that they are all but trapped within such a lifestyle until the age of retirement. This is also one of the reasons why the United States is one of the worst sufferers of the global obesity epidemic. However, there are viable alternatives to consider. One of the most effective trends which has gained ground in recent years is the ability to work from home via online retail marketing. What are some of the major benefits associated with this lifestyle choice and what can you do to get started in no time at all? One of the most common complaints of individuals within the workforce is that they feel they do not have the time to pursue other life activities. As many workers are now being forced to work longer hours to receive only mildly increased wages and meagre overtime packages, they are being forced to choose between emotional well-being and putting food on the table. Online retail sales is able to effectively bridge this gap; even if only approached with a part-time mentality in the beginning. First and foremost, individuals are able to dictate the hours that they intend to work each day. Assuming that you still have to maintain a day job, there is nothing wrong with putting in a few extra hours of work in the evening. More time can thereafter be devoted once the online business begins to grow and flourish. 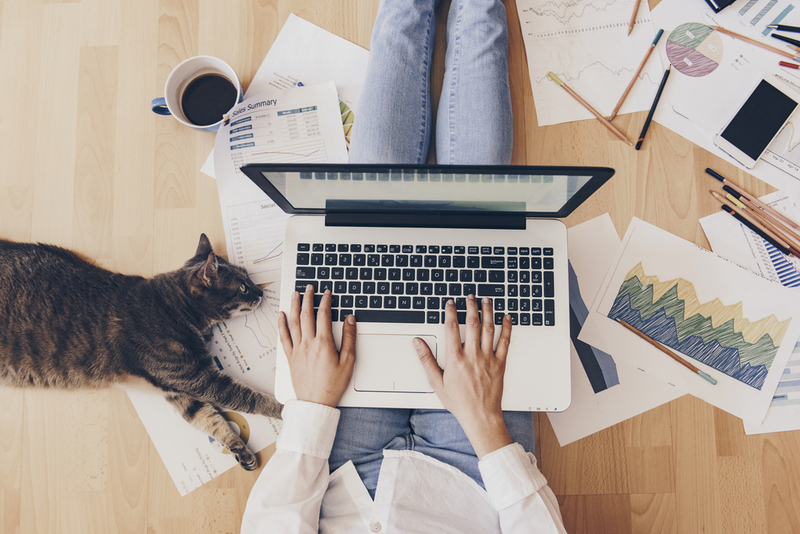 Another incredible benefit of working from home is that the possibilities are nearly endless in regards to what you wish to market and promote. From selling bespoke t-shirts to writing do-it-yourself books or even becoming a paid blogger, the choices are yours and yours alone. This sense of career flexibility would be nearly impossible to achieve through traditional methods; even if you are currently working within the intended sector. – You will feel less stressed and pressured. – You may notice that your physical health is improving. – You can spend more time with the family. – You will be provided with a financial “buffer” in the event that you wish to take some time off. You might be surprised to learn that all of these scenarios are well within your reach. No longer will you be forced to solely deal with large online portals such as eBay and Amazon. In fact, you can begin your very own business within a short period of time thanks to advancements in e-commerce software. Also, you will be glad to know that no prior training is required and that you will not be forced to learn complicated coding techniques. The digital tools at your disposal have been discretely designed for the end-user; particularly for those who are just entering into the industry for the first time. Online help is always available and thanks to the rise of major providers such as Oberlo, it is even possible to embrace high-tech methods such as drop shipping to appeal to an even larger customer base than ever before. Free trial periods are available if you have been looking to better appreciate the mechanics behind such methods, so there really is nothing to lose. While you might not make a million dollars overnight, the fact of the matter is that the chances to enjoy financial freedom and a healthier lifestyle are very real indeed. All that is required is for you to take the first step. Honestly ask yourself if your current work situation is negatively impacting your overall health. If so, might be time for a profound change. The good news is that such a change can be enacted at your own pace and when the time is right, so feel free to take the first step towards a better life.